We’ve got a new product in stock! 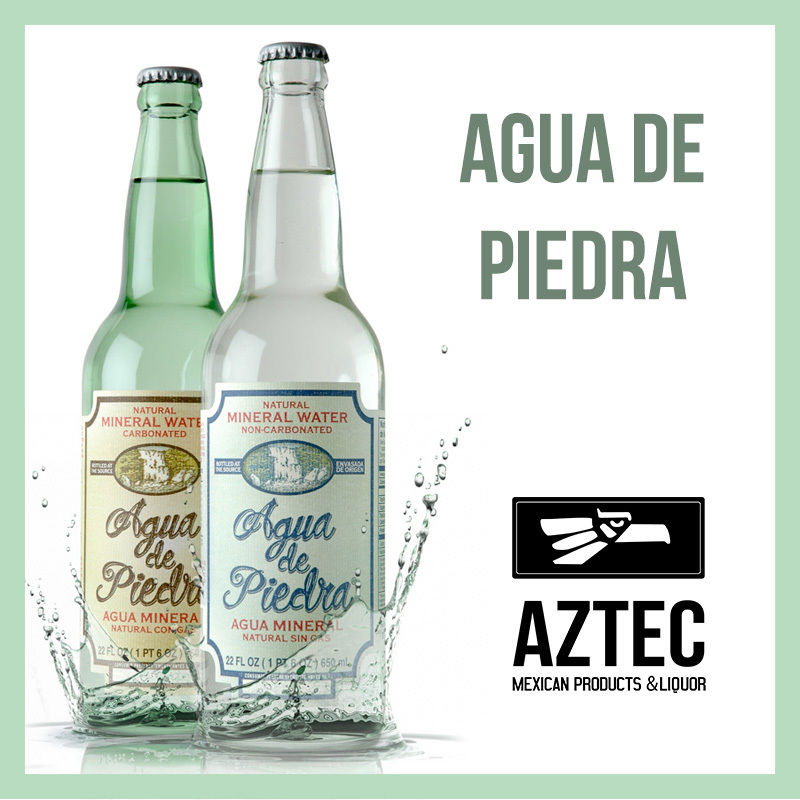 Agua De Piedra is a natural Mexican mineral water that will certainly quench your thirst. Agua De Piedra is the Mexican mineral water that knows no equals, and there are plenty of reasons to grab a dozen or two in our online store. Bottled at the source, the unique flavour of this Mexican mineral water comes from the mineral profile provided by filtration through the geological formations of the Huasteca basin at Nuevo Leon, Mexico. The environmentally conscious folks at Agua De Piedra are also committed to reducing the impact of their product on the planet by using transition bottles. When a glass manufacturer changes the colour of the bottles in their manufacturing plant, the change happens gradually. As a result, thousands of what are known as “transition” bottles are produced and end up going to waste. If you have a close look in your carton of Agua De Piedra Mexican mineral water, you may notice some variations in glass colour from bottle to bottle. This is because they rescue these transition bottles and stop the waste cycle. So, this amazing beverage tastes wonderful, and does its bit for the environment. Agua De Piedra is great on its own, or as a mixer in your favourite alcoholic drinks. Aztec Mexican Products and Liquor are dedicated to bringing authentic Mexican fare to the Australian public and hospitality industry. We are thrilled to announce that we’ll be sharing this wonderful Mexican mineral water, as well as many of our top quality products, at the Fine Food Australia Expo, which is being held at the Melbourne Convention & Exhibition Centre between 10-13 September 2018. The Fine Food Australia Expo celebrates everything wonderful about the food industry. It is a trade show, opening up new possibilities to those who work in the foodservice, hospitality and retail industries. For more information about Aztec Mexican Products and Liquor, or to purchase from our online store, head over to our website. And don’t forget to Like us on Facebook to keep up with all the Mexican foodie news!